Since 2013, Kate Fisher has been surveying, interviewing and documenting a cross section of ceramic artists who are also mothers. Examining how children, or the circumstances of their lives as they include them, changed and impacted the work these artists choose to make and/or how they make it. 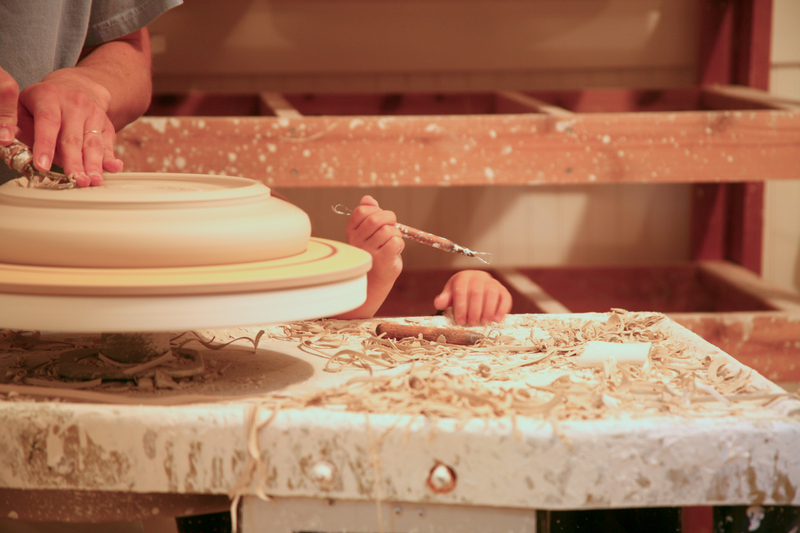 The goal of www.bothartistandmother.com is to present an ongoing digital record of interviews and stories from women ceramicists. The hope is that this project will provide insight and encouragement to talented female artists, which in turn impacts the field’s future. Initially, the site includes the profiles and audio interviews of 11 artist/mothers working in clay. The hope is to repeat the audio interview process with additional artist/mothers in the future. Site visitors are able to listen to or download interviews with the artists, read transcriptions of the dialogues and view links to related events, information, and exhibits. The Both Artist and Mother Site also includes a Artist/Mom of the Month page (text only, no audio) which is intended to highlight artist/mothers from various visual/performing arts fields. The site’s flexible format can accommodate an ever-expanding narrative and exchange of stories, questions, and advice designed to help female artists communicate.